Google Now on Tap sounded ridiculously cool when it was announced last year, but the reality of the feature has been lackluster to say the least. Google is apparently toying with a feature that could make it much more useful. Some users are seeing optical character recognition (OCR) as part of On Tap, but the implementation seems very early. When we talk about OCR, that's different from reading the text on a web page or in an app as Google Now on Tap has always done. 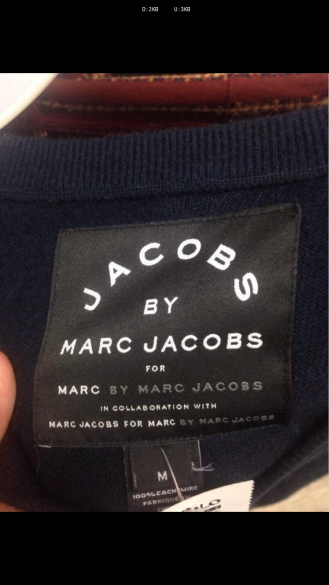 Google Now appears to be recognizing the text in photos to perform searches, like that weird Marc Jacobs label below and Artem's name above. The first thing to note, this doesn't appear to work on all phones equally. OCR on the same photos is pulling up different results for me on different phones—some phones don't do anything. You'll obviously need to have Android 6.0 to try it yourself. What's particularly cool is that the OCR works in the camera viewfinder or in the Photos app. 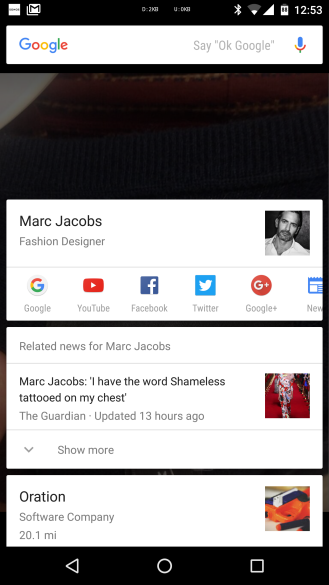 You can just point the camera at some text and (maybe) get Google Now cards. I say "maybe" because this is a very hit or miss feature. I suppose that's par for the course with Google Now on Tap, but this is even more so. Some of the images I'm testing with have pulled up results for text off to the side, leaving the obvious subject alone. However, I did manage to pull up a navigation card using the camera viewfinder today, which was really neat. It also only appears to work in the Google Camera viewfinder as far as cameras go. Some gallery apps seem more reliable with photos than others. Basically, there are a lot of caveats. I've tested this on a few recent versions of the Google app, and it worked equally well on all of them. Google probably added the framework for OCR a few versions ago, but there may also be a server side component. 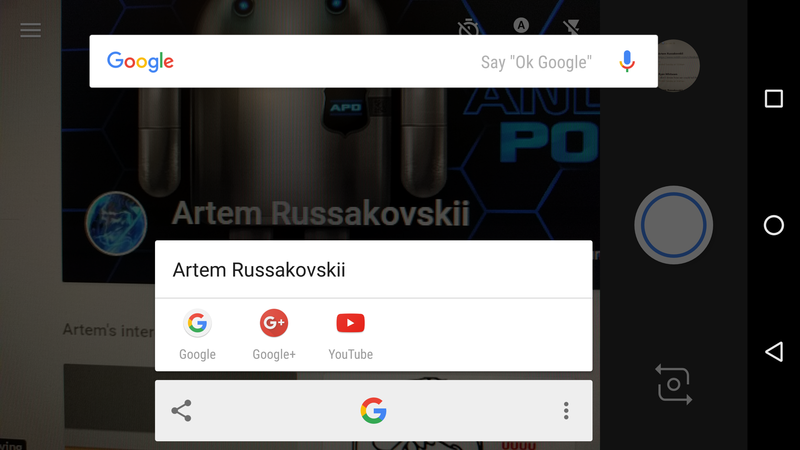 If this feature gets a bit more fleshed out, it could finally make Google Now on Tap worth using.